Designed to the specs of Christian's USA model, this professional grade Dean V is perfect balance of classic style and modern attributes for anyone looking to own a unique V of their own. Loaded with a pair of Dimarzio 36th Anniversary PAF pickups for that extra clarity and tightness for lower tunings and punch for those who keep it traditional. 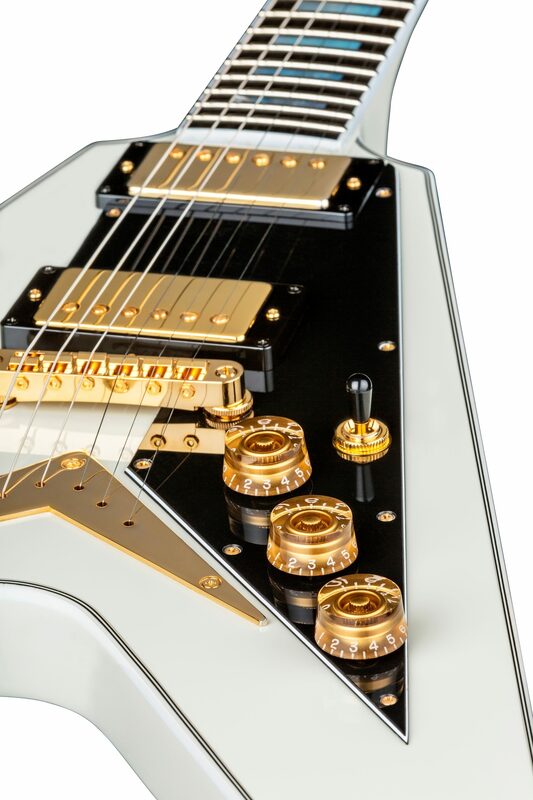 Gold Hardware, Classic 77 V neck and Ebony fretboard, this V is for everyone.